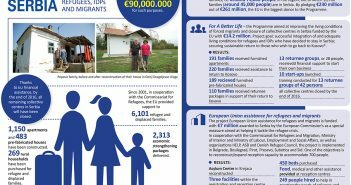 You are at:Home»Posts Tagged "EU for Serbia"
“EU for Serbia” is the title and motto of the campaign launched jointly by the EU Info Centre in Belgrade and the EU Delegation to Serbia in early May to bring citizens closer to results of the assistance the EU has been continuously providing since 2001. 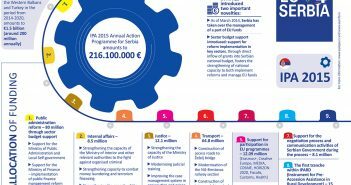 The EU has so far provided more than €3 billion in assistance, making it the biggest donor in Serbia. 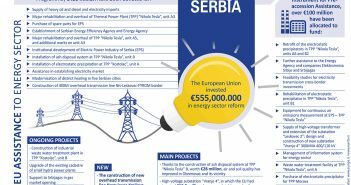 On average, Serbia receives some €200 million per annum. 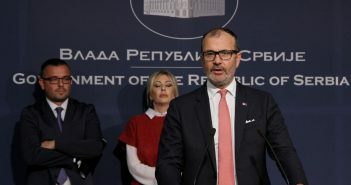 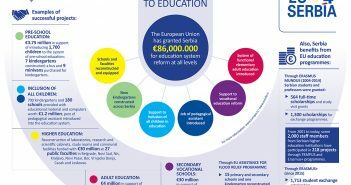 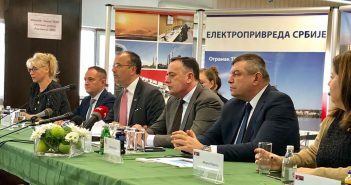 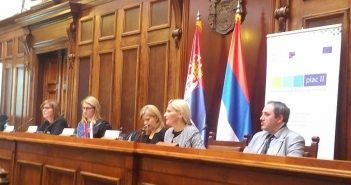 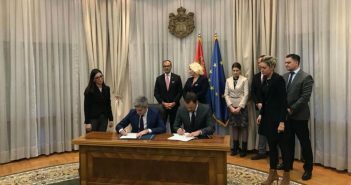 The decision on which sectors would receive the non-refundable aid is made together with Serbian authorities and the aid is then implemented through projects. 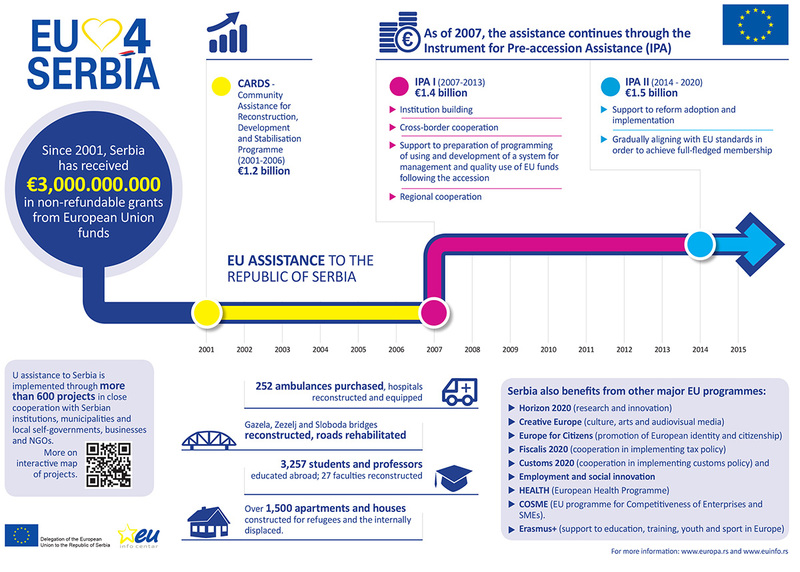 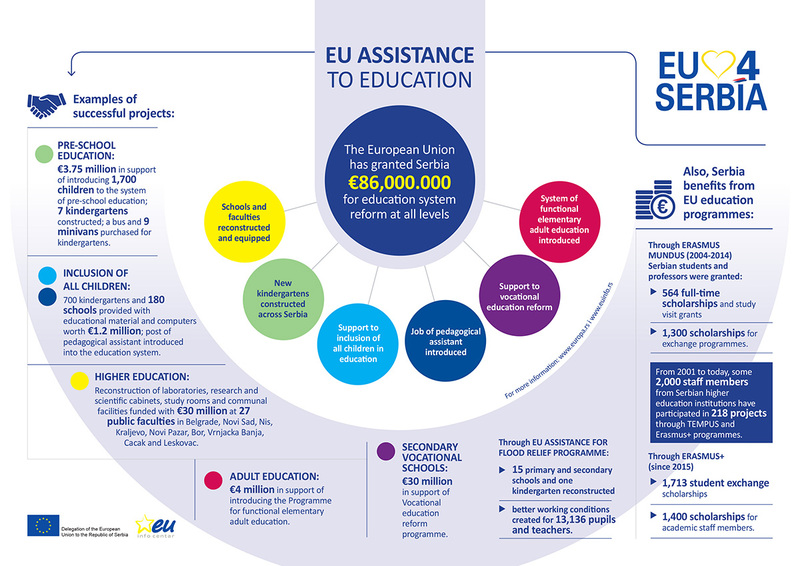 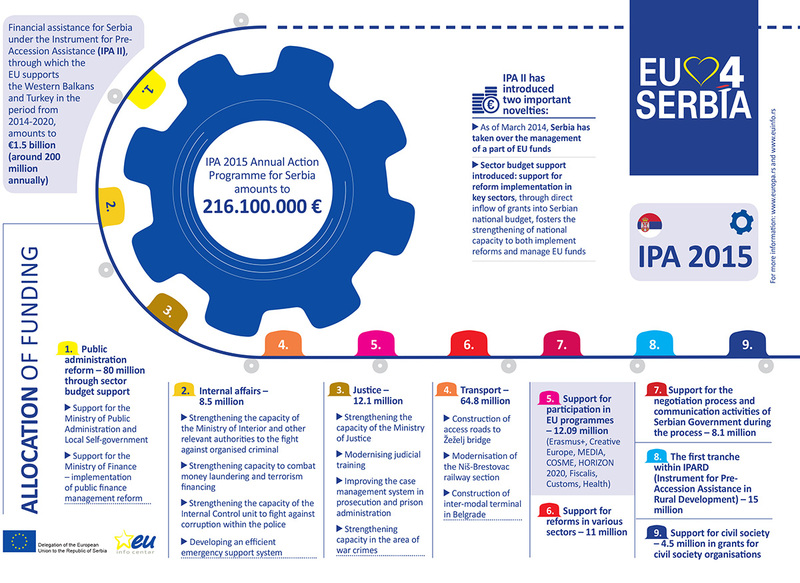 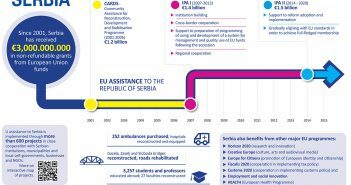 EU assistance, implemented together with national institutions, local self-governments, business associations and NGOs, has yielded results in all aspects of life, from education, social policy and support for refugees to energy and environment. 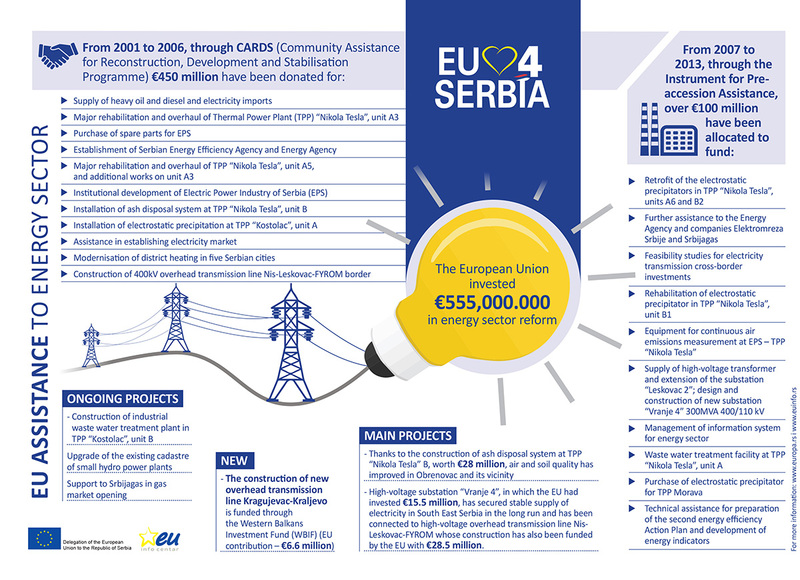 Key words describing the cooperation are reflected in values shared commonly by the EU and Serbia. 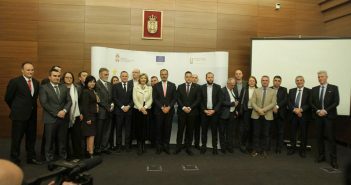 This is why the EU Info Centre, the EU Delegation and two EU Info Points (in Nis and Novi Sad) have undertook various activities to provide citizens with more information by arranging photo exhibitions depicting successful projects, setting up billboards across cities and organising media workshops and debates. 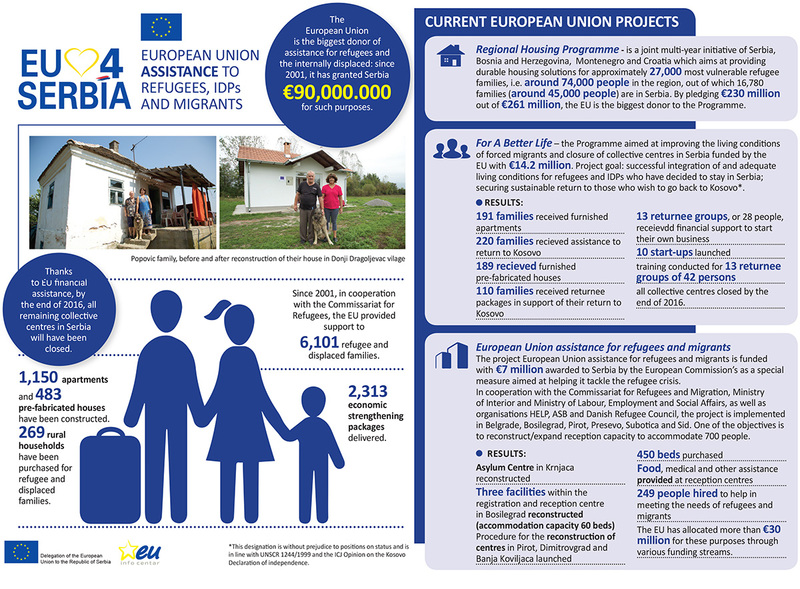 Detailed information is available on the web-sites of the EU Delegation – www.europa.rs, the EU Info Centre – www.euinfo.rs, and EU Info Centre and EU Info Points’ social media accounts.